Anne’s peacebuilding work is focussed on Australia’s neighbourhood and on settler-indigenous and cross-cultural relations within Australia. Her work emphasises ‘bottom up’ as well as ‘top down’ peacebuilding. 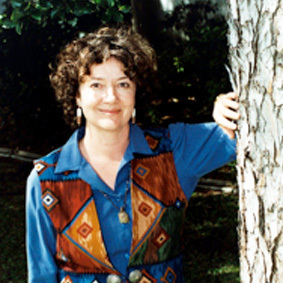 The emphasis on dialogue processes and cross-cultural interchange, particularly across historically difficult boundaries and around issues of violence, has drawn significantly from Anne’s prior professional and intellectual work. It is from within this context, and growing out of conversations between Anne and the Malvatumauri Council of Chiefs in 2004, that she negotiated and established Vanuatu Kastom Governance Partnership. Anne lead the Australian based arm of the partnership, which ran from 2005-2012. The partners were the Council of Chiefs and the Australian Centre for Peace and Conflict Studies at the University of Queensland, as well as AusAID; the partnership provided an evolving and vibrant set of activities and relationships, focused around key areas of social and political friction between community/ customary modes of governance, formal state governance, and cultural and economic dynamics of globalisation. Peace-building and state formation within East Timor are also an ongoing focus of Anne’s work. Anne has been actively involved in supporting and developing the work on political hybridity through both research and practice work. In this context she edited and wrote two chapters for a well-reviewed book on emerging states in the Pacific, part of a larger project by the International Peace Academy (New York). She wrote major AusAID commissioned reports on East Timor and (with Anna Nolan) on Vanuatu, as well as a range of other articles or book chapters. Anne has brought an interest in theories of the state, state formation, political community and changing forms of citizenship to this area. With Volker Boege and other colleagues, Anne plans to develop further the work on political hybridity, both extending and deepening case studies and developing further practice work. She plans work on human rights and gender rights dialogue processes in the Pacific Island region, and also further collaborations with colleagues at the Timorese universities. Volker’s two main streams of work are on hybrid political orders and peacebuilding, and on environmental degradation, natural resources and violent conflict. His regional focus is on the Pacific Island countries. Over the last few years, Volker was involved in various research projects addressing peacebuilding and state formation in post-conflict hybrid political orders. Starting point for this research was a critique of the current mainstream discourse on so-called fragile states. By re-conceptualising fragile states as hybrid political orders, the focus of the discourse was shifted to the state-society nexus and the resilience of local communities and their peacebuilding and governance capacities. Together with PaCSIA colleagues,Volker has applied this innovative approach to research on peacebuilding and state formation in South Pacific and Southeast Asian countries like Bougainville (Papua New Guinea), Solomon Islands, Vanuatu and East Timor. Currently his focus is on problems of legitimacy in post-conflict hybrid political orders. Given that mainstream research and policymaking has so far either ignored or underestimated issues of legitimacy for peacebuilding or has over-emphasized Weberian rational-legal legitimacy, Volker intends to explore the significance of different sources and types of legitimacy, including traditional and charismatic as well as hybrid forms of legitimacy. This research builds on Volker’s previous work which dealt with customary local (non-Western, non-liberal) approaches to conflict transformation. This work drew attention to non-state customary institutions, mechanisms and actors. Volker will continue exploring the potential and limits of non-Western local approaches to conflict transformation and peacebuilding, and the interface of local and liberal Western approaches. After having worked extensively on issues of ‘water, conflict and cooperation’, Volker’s focus in the workstream on natural resources, environmental degradation and violent conflict is currently on mining and conflict, with particular emphasis on company- community relations in post-conflict mining projects. As with his work on hybrid political orders and peacebuilding, his regional focus in this field of work is on the South Pacific and Southeast Asia. Only recently Volker has commenced research on climate change, migration and conflict – which is a topic of rapidly increasing urgency in the Pacific region. Volker has been working in the field of peace and conflict studies for more than two decades, most of the time with leading peace research institutes in Germany. He participated in various international research projects and is engaged in an international network of renowned scholars. He has work experience in Germany, Australia, Botswana, Fiji, Namibia, Papua New Guinea/Bougainville, Solomon Islands, Switzerland, and Vanuatu. Volker holds a PhD in Political Science from the University of Hamburg, Germany. Serge is a practitioner, trainer and academic working in conflict resolution and peacebuilding. Originally from Germany, Serge worked as a civil law lawyer before developing his conflict resolution practice. 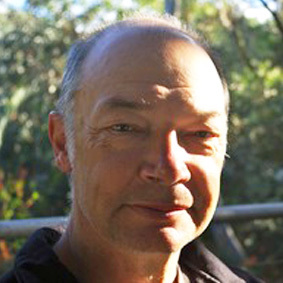 He has completed an LLM degree in Dispute Management Law and a PhD in Social Science, both from the University of Queensland. Serge is an experienced facilitator, conflict resolution trainer and assessor, as well as a nationally accredited mediator under the National Mediator Accreditation System (NMAS). Serge conducts workshops for understanding conflict, negotiation & mediation skills, group facilitation, intercultural conflict resolution and leadership and teamwork. He also facilitates dialogue and strategic planning workshops. Serge has mediated workplace disputes and community conflicts and has worked with a variety of clients, including local and state government, businesses, primary and secondary schools and community groups. He regularly trains mediators and conciliators from a number of Queensland government agencies and councils. Serge’s facilitation methods focus on building relationships across difference, managing uncertainty and understanding complexity. He uses methods like Creative Dialogue & Design (CDD), World Café Conversations, Open Space Technology, Appreciative Inquiry, Narrative Practice, Action Research and other innovative facilitation and analysis methods. Internationally Serge has worked on conflict resolution, peacebuilding and development issues with people from the Philippines, Vanuatu, Papua New Guinea, Solomon Islands, South and South-East Asia and with participants from various African countries. In 2011 he designed the intercultural Community Café Dialogue process for the award-winning Diverse Brisbane Project. Currently he is working with local communities in the Panguna mine area of central Bougainville. Polly regularly conducts workshops in cross cultural issues, including developing cultural fluency – the ability to work respectfully and appropriately with people across differing world views. Polly Walker is a practitioner, researcher and lecturer in conflict transformation and peacebuilding. She holds a PhD in conflict transformation from the University of Queensland. Polly is Assistant Professor of Peace and Conflict Studies at Juniata Colllege in Huntington, Pennsylvania. She is also the director of Partners in Peacebuilding, a research and consulting organisation. Polly lectures on Indigenous and cross cultural issues, including Indigenous peacemaking, cross cultural dispute resolution, and reconciliation. She is an experienced educator, having over 20 years of teaching and management experience in public primary and secondary schools, as well as in tertiary institutions. Polly regularly conducts workshops in cross cultural issues, including developing cultural fluency – the ability to work respectfully and appropriately with people across differing worldviews. She also facilitates Creative Dialogue and Design (CDD) sessions for groups and organisations, and has completed a pilot research project on the cultural appropriateness of CDD in Aboriginal Australian organisations. Polly has also worked in peacebuilding and development issues in Vanuatu and the Solomon Islands. Within Australia, she has worked with a range of communities, including Aboriginal and Torres Strait Islander Australians, a Philippines development and peacebuilding organisation, and people of refugee and migrant backgrounds. She has provided training and consultancies for city and shire councils as well as for government and private organisations in the SouthEast Queensland region. Polly completed a postdoctoral fellowship on the role of memorial ceremonies in transforming conflict between Indigenous and Settler peoples in the United States and Australia. She is co-editor of an anthology on ceremony, ritual, theatre and peacebuilding and works with community workers, theatre artists and directors through a network of performance peacebuilders. Polly is of Cherokee and Anglo descent. She grew up on the traditional lands of the Mescalero Apache and is a passionate supporter of the reintroduction of the Mexican Grey Wolf to parts of New Mexico and Arizona. Joseph has interests in the politics of conflict management and resolution in post-colonial settings. Specific areas include: state-society telations in conflict management and resolution, state-building as conflict management, politics of development, community-based approaches to managing conflict relations between local and external interveners in peacebuilding and post-conflict reconstruction. His PhD thesis focused on Governance and Conflict Management in complex post-colonial settings, with East Africa as his case study. He also holds a Sessional Lecturer’s position at the School of Political Science and International Studies, University of Queensland, where he teaches conflict resolution. Geographically, Joseph has extensive work experience in the Great Lakes region and Horn of Africa. Here he has undertaken assignments in Kenya, Uganda, Tanzania, Burundi, the Democratic Republic of Congo, South Sudan and Rwanda. He has also been involved in short-term initiatives in Zambia and Somalia. Outside of Africa, Joseph has worked in the Philippines and in Australia. Before coming to Australia in 2009 to pursue a Rotary Peace Fellowship, Joseph spent 7 years working in local, national and regional programs in peacebuilding and conflict resolution in Africa. He worked with the Great Lakes Parliamentary Forum on Peace that provided space for Members of Parliament to strengthen linkages with their communities and other stakeholders in areas of peacebuilding and democratic governance. In the Philippines, he worked with the Office of the Presidential Advisor on the Peace Process (OPAPP) engaged in monitoring and evaluation of peacebulding programs undertaken by the Peace Institutions Development Office (PIDO). In Australia, Joseph has combined his academic engagement with community work. 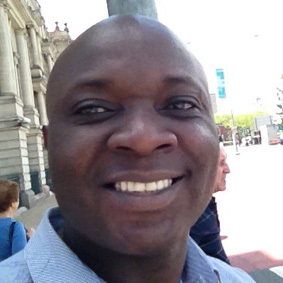 He has significantly contributed to the organisational capacity of African communities in Queensland and implemented the award-winning Diverse Brisbane Project for Brisbane City Council. Erica Rose Jeffrey believes in the power of movement connected to positive social change. She is an experienced facilitator, peace educator and artist. She conducts Peace Moves workshops for developing conflict transformation and communication skills through the use of movement and facilitates Creative Responses Process feedback sessions for artists and communities. 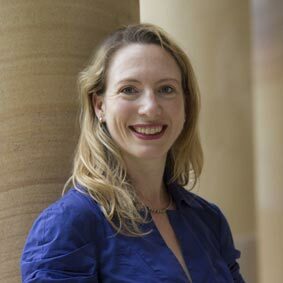 The first dancer to be selected as Rotary World Peace Fellow, Erica Rose has completed a Masters in Peace and Conflict Studies at the University of Queensland, with a focus on partnering conflict resolution with dance education, integrated arts and embodied facilitation. She recently completed research in Mindanao, the Philippines connecting dance, empathy and peace. Originally from Montana, she has worked as a performer, choreographer, educator and arts leader in the United States and internationally. Involved in multiple communities, Erica Rose has taught for the San Francisco Ballet program in public schools, Luna Dance Institute and directed Marin Dance Theatre’s Let’s All Dance! Outreach program. She was instrumental in launching the Parkinson’s Dance Project, Marin County’s first Dance for Parkinson’s program. In addition to performing, she co-directed the dance company COUNTERPOINTE. In Australia, she initiated the first nationwide Dance for Parkinson’s Disease program and is currently supporting Queensland Ballet in their Dance for Parkinson’s Program. Erica Rose has been involved in the Community Cafés Dialogues as a facilitator and organizer since early 2012, supporting projects throughout Brisbane in multiple communities. She is enthusiastic about dialogue in all its forms, spoken and artistic. Anna is an anthropologist with over 7 years experience in project management of peacebuilding research and practice projects focused on the Pacific region (Australia, Vanuatu, Solomon Islands, Bougainville, Fiji and East Timor). 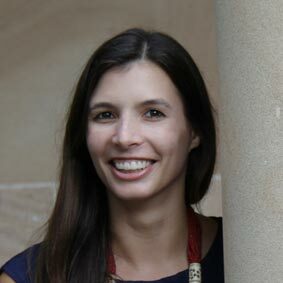 In this time Anna has worked closely with colleagues at The University of Queensland and international research partners on projects concerned with peacebuilding and state-building in post-conflict situations in the Pacific, and the interplay between local customary forms of governance and leadership with formal state governance institutions. Developing and implementing participatory Monitoring and Evaluation strategies for these projects has been an integral part of Anna’s responsibilities, along with contributing to and coordinating data collection and analysis, managing project budgets, reporting on activities and expenditure and disseminating information on project findings and outcomes. 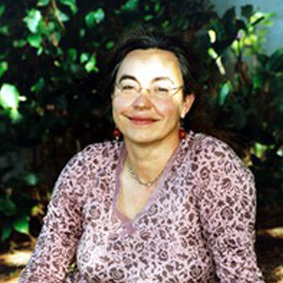 In Australia, Anna has worked for over 15 years in field research projects with Aboriginal elders and communities in the Northern Territory, concerning traditional ownership of land and native title interests, custodianship and protection of sacred sites; holding and reporting on consultations with traditional owners regarding development proposals for major clients including the Northern Land Council and the Aboriginal Areas Protection Authority in Darwin. Anna’s interests include cross-cultural dialogue processes, women’s participation and roles in customary, community and formal governance contexts, Indigenous peoples’ relationships to land and building sustainable peace in communities of the Asia-Pacific Region. Paula brings the experience of a social worker who established and managed two highly effective and high profile local NGOs – the Brisbane Migrant Resource Centre and the Queensland Program for Survivors of Torture and Trauma. Paula comes to this work from a career working with refugee and immigrant communities. She is able to nurture and extend the community engagement priorities with culturally and linguistic diverse communities in South East Queensland and with particular communities of interest – for example the South Sea Islander community, the Sudanese community, and culturally and linguistically diverse young people. Paula is a consultant trainer with the Ethnic Communities Council Partners in Cultural Competence delivers the one day training module “Culture and Conflict Resolution”. 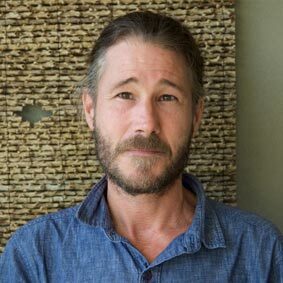 Mark Love is an anthropologist with a strong emphasis on applied research and practice, with over 10 years experience working in the Pacific region (Solomon Islands, Vanuatu and Australia). Mark’s research and practice has focused on: development effectiveness and project evaluation; customary and community governance (especially how they inform development outcomes); social impact analysis; environmental management (political ecology); social mapping; cultural heritage (tangible and intangible); ‘dialogic approaches’ to community development and cross-cultural engagement; social inclusion (in particular finding alternative and more effective pathways to enhancing women’s and young people’s participation in decision making that effects their lives); the politics and economics of mobility and remittances; local-level socio-economic strategies and sustainable livelihoods; how micro (local)and macro (regional/global) historical processes inform the present (especially development outcomes); and, research methods. Mark’s work in the Solomon Islands primarily focused on evaluating several marine conservation initiatives in the Western Province, capturing and analysing local livelihood and community governance processes, and undertaking assessments of alternative livelihood initiatives in the area. In Vanuatu, in addition to his work on the Vanuatu Kastom Governance Partnership and the Christensen Fund/Anglican Church ‘Language, Family and Relationships’ project, Mark’s dissertation research included evaluations of the impacts of the women’s micro-finance group VANWODs and several marine conservation and alternative livelihood programmes in two select regions of the country. Casey Crocket is a nationally accredited mediator (NMAS), conflict coach, facilitator and victim-offender mediator. She currently works in community justice with the Queensland Department of Justice and Attorney General. Originally from Michigan, Casey spent the first six years of her career working as a teacher of English for non-English speaking youths in Japan, Spain and Texas. Her interests include utilizing conflict resolution as a part of cultural education and connecting people from different cultures to build mutual understanding. Casey came to Australia on a Rotary Peace Fellowship to study Peace and Conflict Resolution at the University of Queensland and has been involved with the Community Café Dialogues since 2013. Brad Lewis is a freelance practitioner and trainer in conflict resolution, facilitation, communication and community engagement. He has been an accredited mediator with the Queensland Department of Justice and Attorney General since 2000. Brad regularly performs roles as a mediator, group facilitator, restorative justice conference convenor, conflict resolution trainer, professional development coach and competency assessor.